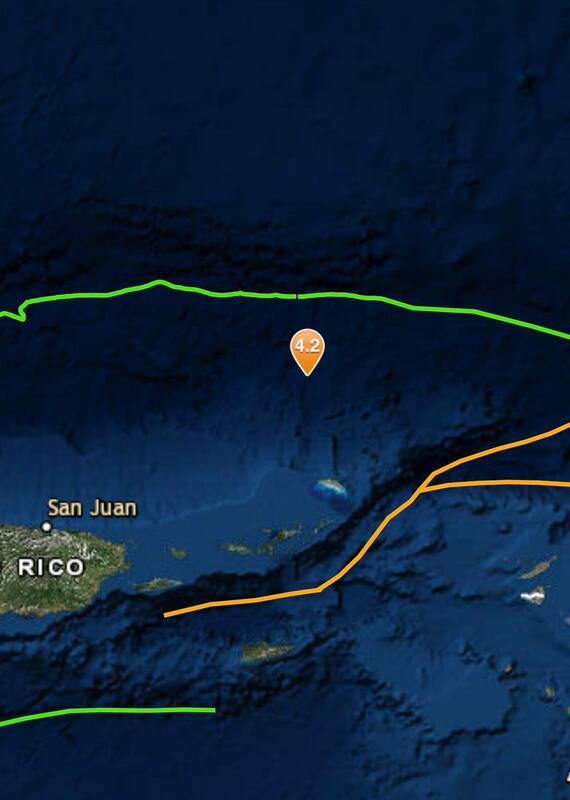 ROAD TOWN, Tortola — A 4.2-magnitude earthquake struck about 53 miles (85 kilometers) North of the British Virgin Islands this morning. According to the U.S. Geological Survey, the quake happened at 11:13 a.m. today and took place about six miles underground. The 85 kilometers distance equals 52.81 miles.